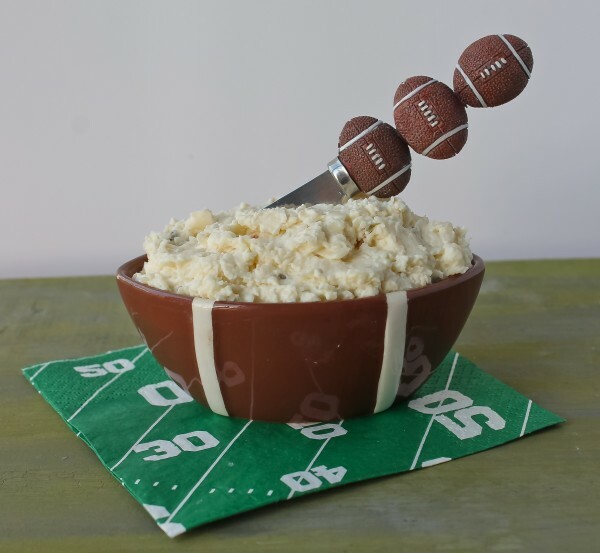 Not only do cheese and football food go together like a touchdown and extra point, this cheese spread can (and should!) be made right now for Super Bowl Sunday, packed into a crock and kept in the refrigerator until kick-off time. This way you will have at least one appetizer out of the way! The cheese gets better as it ages because it has a little vermouth to give it an extra kick of flavor. Let it come to room temperature before serving. It’s good with pretzels or plain crackers like Carr’s. If you have a crowd, be sure and make a double or triple batch because it will go fast. 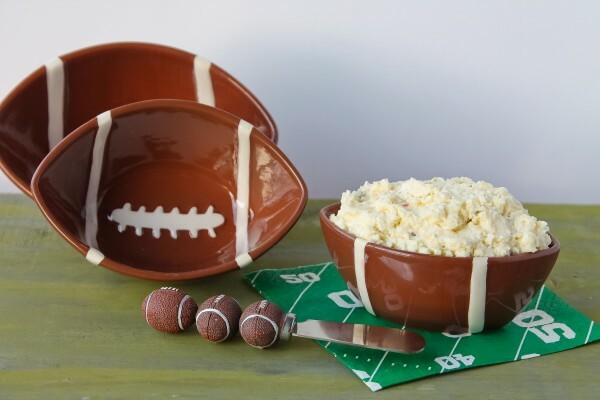 This recipe will score with your Super Bowl fans! Note: *Don't use pre-shredded cheese. Shredding yourself is so much tastier and more moist than the packaged cheese. After shredding the cheese, place in bowl of electric mixer. Add cream cheese chunks to bowl. Cover cheeses with plastic wrap and let sit until cheeses are softened and at room temperature. Add vermouth, dried chives, and mustard to bowl with cheese and beat with electric mixer until smooth. Pack into a cheese crock or other airtight container, cover and refrigerate. Cheese can be stored in refrigerator for up to two weeks, if desired. Bring to room temperature before serving with pretzels or crackers. Makes about 1-1/2 cups.